On behalf of the TCPAK (Town and Country Planning Association of Kenya), I am very delighted to invite all of you at the 21st BUILDEXPO Kenya exhibition that will be held from May 3 to 5, 2018 at KICC – Nairobi. 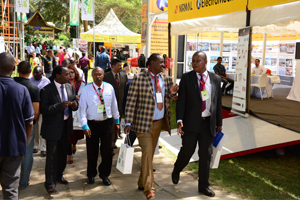 This is Kenya’s largest annual event devoted to the building and construction industry and provides all the participants a platform to introduce their products, find news partners and suppliers, exchange ideas, discover opportunities, broaden their knowledge and a chance to establish their presence in the Kenyan market. Kenya is currently witnessing a boom in infrastructure development. Many high-rise apartment projects and International chain of Hotels have begun their work here. The government has earmarked several development projects such as Water Supply Projects, Energy Sector Projects, etc. Kenya is recognized as an enticing new market for International players to expand their network as there are massive investment opportunities here. TCPAK is a corporate body comprising Town, County and Country Planners and strives to promote sustainable development in the country. The Association in also engaged in several other activities as well such as professional development, education & awareness, protection & conservation of the built environment and also plays a major role in all projects across the country. 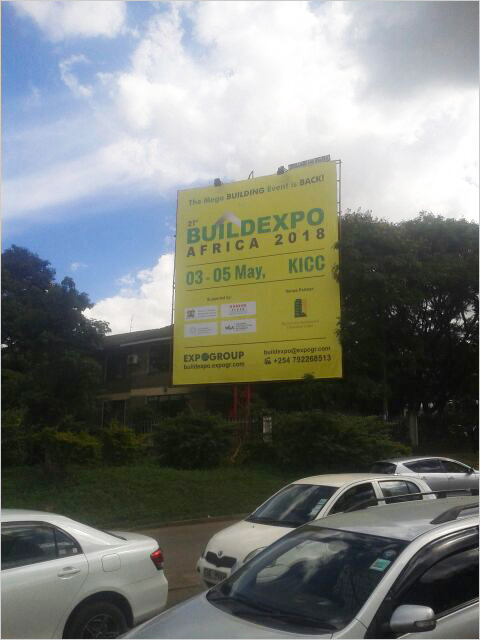 Finally, I will like to congratulate the organizers for organizing and promoting the event in Kenya and wishing all the exhibitors and visitors a fruitful and enjoyable time at BUILDEXPO. The Interior Designers Association of Kenya (IDAK) will be the main supporting partner of the 20th BUILDEXPO Kenya, the largest and most successful building and construction show in East Africa, taking place at the Kenyatta International Conference Centre (KICC), Nairobi from the 20th to 22nd April, 2017. IDAK is the sole national body for interior design firms in Kenya and forms the voice and authority for professional interior designers in the country. Founded in 2012 in Nairobi, IDAK acts as a national forum for the exchange and development of interior design experience and knowledge and aims to promote interior design awareness, global social responsibility and raise the status of the profession worldwide. 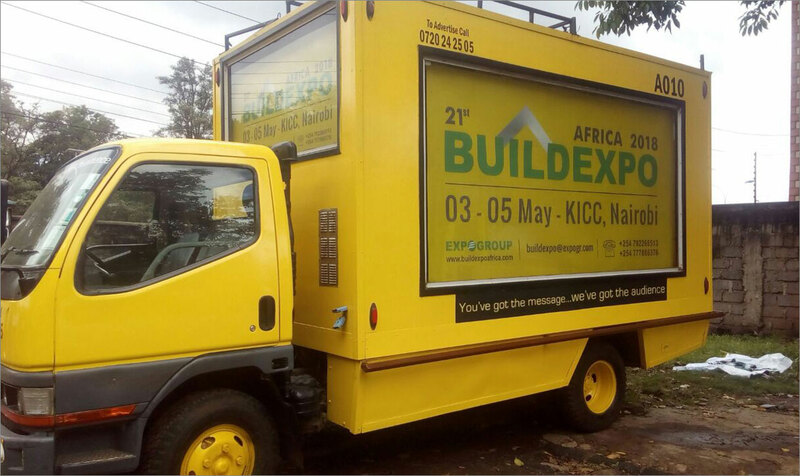 BUILDEXPO Kenya is being organised by Expogroup Worldwide, a pioneer in the trade show industry in East Africa. Max Lewis, Director of Sales is extremely positive about the new collaboration between IDAK and EXPOGROUP. “Expogroup will be completing its 20th anniversary in the trade show business this year and we are very excited to have IDAK on board with us as our supporting partner for BUILDEXPO." 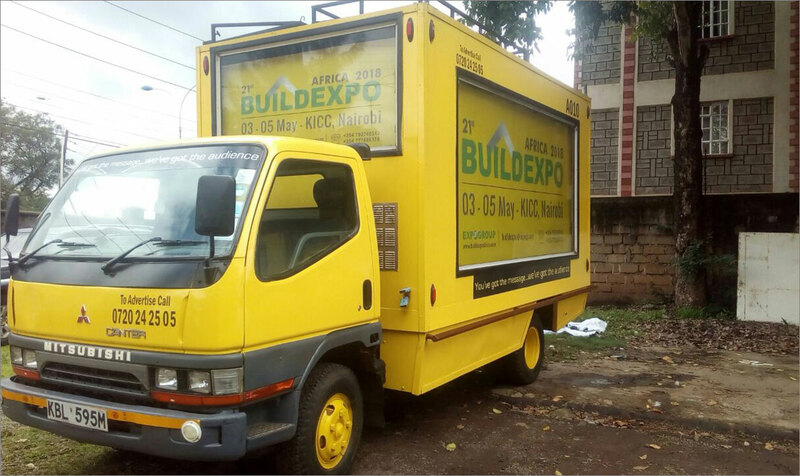 BUILDEXPO KENYA 2017 will host over 350 exhibitors from 44 countries including Germany, China, India, Turkey, Italy, UAE and Greece along with leading construction firms from East Africa. Massive country specific pavilions will be another feature of BUILDEXPO, with over 80 companies registered as part of the China pavilion, more than 50 firms making up the Turkey pavilion and an Indian consortium of over 40 companies. As a proven platform for business transactions, BUILDEXPO will showcase the latest developments in the building and construction industry, with eminent industry experts, stakeholders and decision makers in attendance, making it an ideal event to source new products, network and usher in new contacts and business opportunities. 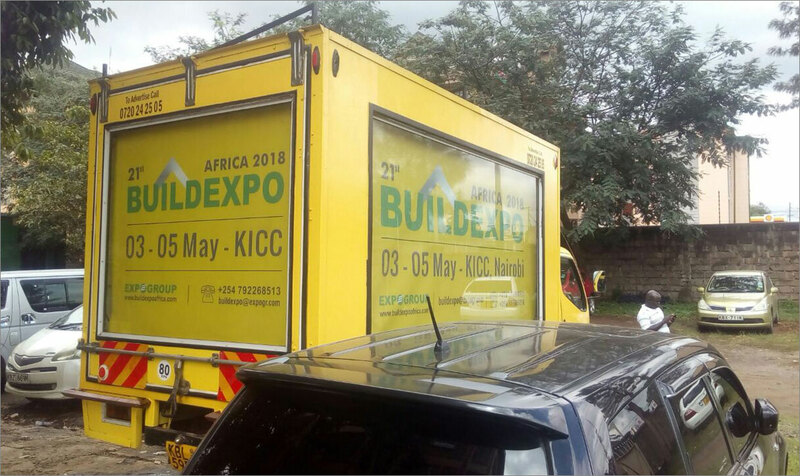 The 20th edition of BUILDEXPO Kenya, East Africa’s largest building and construction show is all set for another massive event with over 350 exhibitors signed up from 44 countries including Germany, China, India, Turkey, Italy, UAE and Greece along with leading construction firms from East Africa. 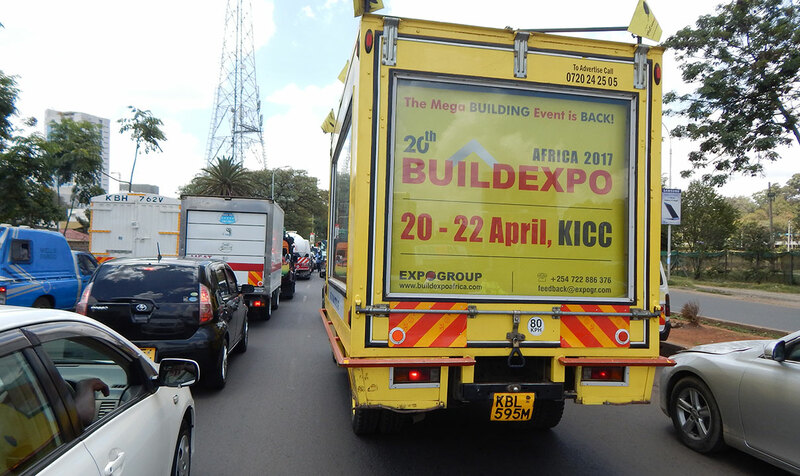 BUILDEXPO Kenya, organised by Expogroup Worldwide, a pioneer in the trade show industry in East Africa for the past two decades, will take place at the Kenyatta International Conference Centre (KICC) from the 20th to 22nd April, 2017. The massive China pavilion at BUILDEXPO Kenya will comprise a delegation of over 80 companies looking to expand the country’s ever growing presence on the building and construction sector of the region with innovative, cost effective materials, products and services. A Turkish pavilion of over 50 companies will also be participating at the event with products and services on display from the construction machinery, building materials, engineering and architecture sectors. The event also has a major Indian presence with over 40 Indian companies already confirmed for BUILDEXPO KENYA 2017, emphasising the growing interest India is showing in the market of the millennium, Africa. Over 6000 trade visitors are expected over the course of the event from Kenya, Tanzania, Ethiopia, Uganda and other neighbouring African countries, looking to source the latest, inventive products on offer, not accessible otherwise in the local market. "Over the years, we have grown to cater to the demands of not just the Kenyan market, but of the whole region of East Africa. This mega expo is the ideal forum for international players to showcase their products and services to the huge market in Africa." says Mr. Trindade, Exhibition Manager - Expogroup. BUILDEXPO Kenya will have prominent industry experts, stakeholders and decision makers in attendance along with new product launches and added features, making it an ideal event to source new products, network and usher in new contacts and business opportunities. 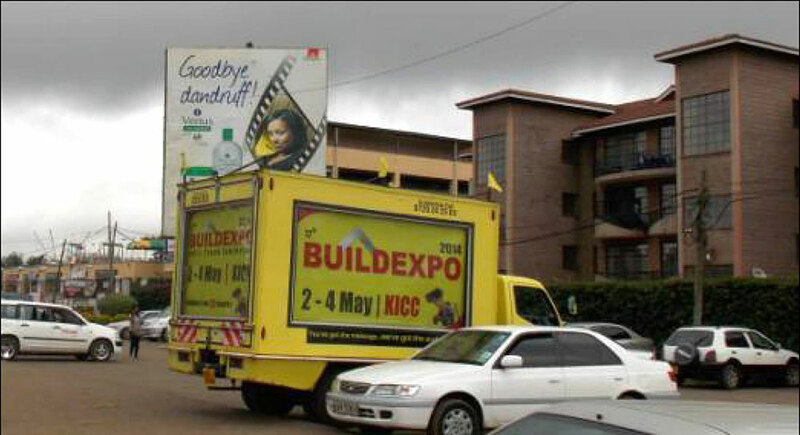 BUILDEXPO is today regarded as one of Africa’s most dynamic international Building & Construction Trade exhibitions. Since its inception 19 years ago, Expogroup has envisioned BUILDEXPO to evolve as one of the most awaited and eagerly participated building events in Africa. Through committed endeavour and a no-compromise attitude to service, the company has brought this vision to reality. 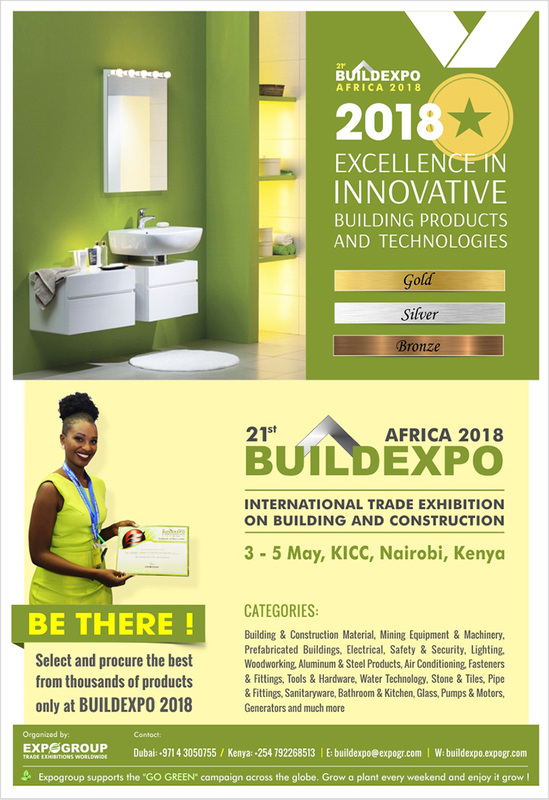 Some of the innovative products on display at BUILDEXPO Kenya will include the latest bathroom & sanitary ware from KOHLER AFRICA (South Africa), ceramic wall & floor tiles from MIKADO TECHNOLOGY (Vietnam), power trowels & concrete finishing tools from BETON TROWEL (Belgium), reliable props, scaffoldings and formworks from FERRO-MET (Italy), crushing & screening equipment from GUJARAT APOLLO INDUSTRIES (India), a complete range of construction tools and machinery from DIGITAL CITY (Kenya), inventive prefabricated building solutions from ICON (Egypt) and high quality shade nets from SONA AGROTEX (India). 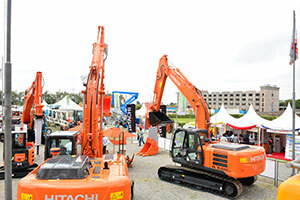 BUILDEXPO Africa is the only show with the widest range of the latest technology in construction machinery, building material machines, mining, construction vehicles and construction equipment. 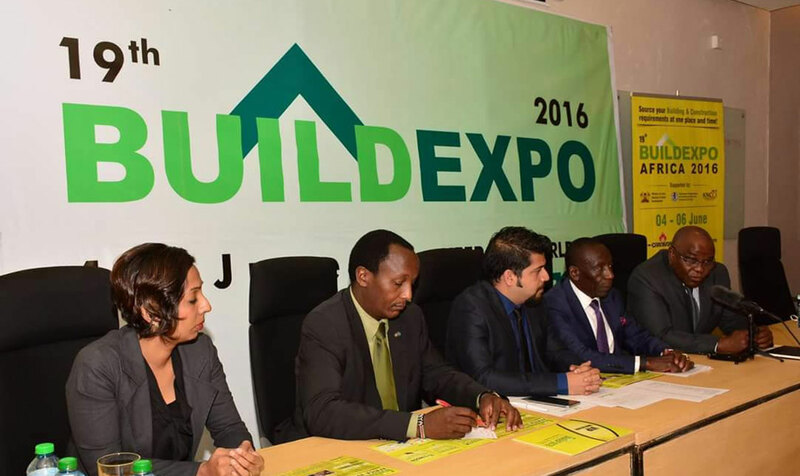 Earlier this month Expogroup announced the launch of BUILDEXPO in Rwanda and Ethiopia on the occasion of their 20th anniversary in Africa. The events are scheduled for May 2017 in Ethiopia and July 2017 in Rwanda. Expogroup says that the first event in Rwanda and Ethiopia are expected to attract over 150+ exhibitors from over 27 countries. The expo will have a focus across the construction equipment, building materials machinery and mining equipment sectors. 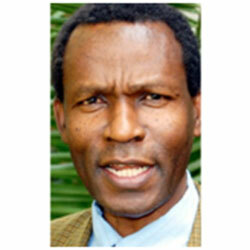 Visitors are expected to be drawn from neighboring African countries. "Africa is an ocean of opportunities, who gets there first gets the most", claims Max Lewis, Director of Expogroup. 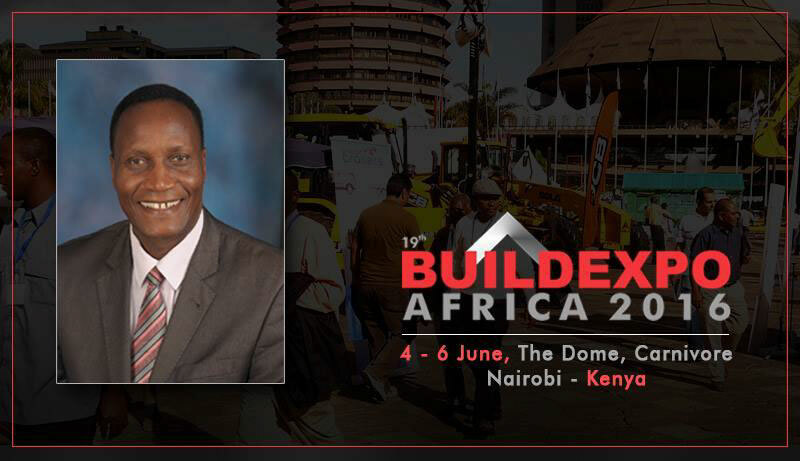 "Africa is a market with a bright future and Buildexpo offers a great platform for the construction industry, with a professional outlook for networking, investment and the exchange of ideas and information. The events last year witnessed international pavilion participation from India, Turkey, China, Italy, Malaysia and Germany. According to the organizers the 2016 edition had seen a 20 per cent increase in demand for participation from international as well as local industry players. "Over the years, we have grown to cater to the demands not just of the Kenyan market, but of the whole region of East Africa. This mega expo is the ideal forum for international players to showcase their products and services to the huge market in Africa." says Trindade, Exhibition Manager - Expogroup. According to the World Bank, infrastructure is the key to Africa's economic turnaround and will play an even greater role in the continent's continued development. East Africa, in particular, is making giant strides in infrastructure and urbanization, with demarcated economic zones, commercial and residential buildings, and resorts for tourists. The country's infrastructure and construction industry value is expected to triple between 2015 and 2020. There has already been a spike in the demand for building material and machinery. 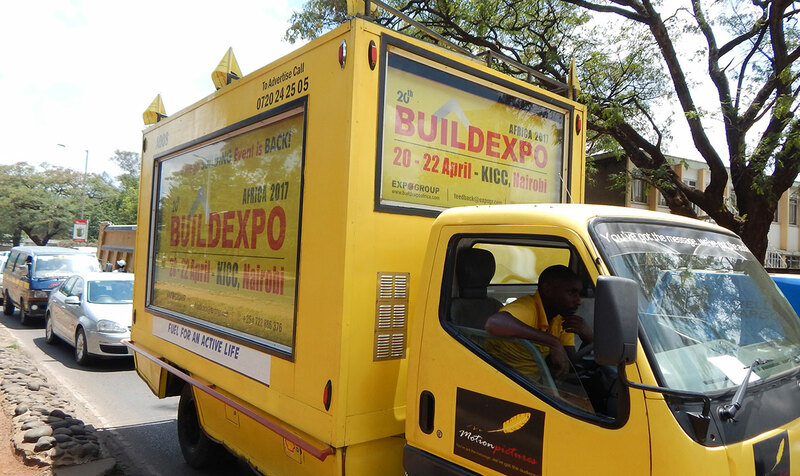 BUILDEXPO is today regarded as one of Africa's most dynamic international Building & Construction Trade exhibitions. Since its inception 19 years ago, Expogroup has envisioned BUILDEXPO to evolve as one of the most awaited and eagerly participated building events in Africa. Through committed endeavor and a no-comprise attitude to service, the company has brought that vision to reality. BUILDEXPO is the interactive arm of Expogroup's activities and the event offers an appropriate platform for outsourcing collaborations, explore new business avenues, enhance your current business, look for beneficial tie-ups and will create opportunities for business visitors to interact with International Exhibitors. 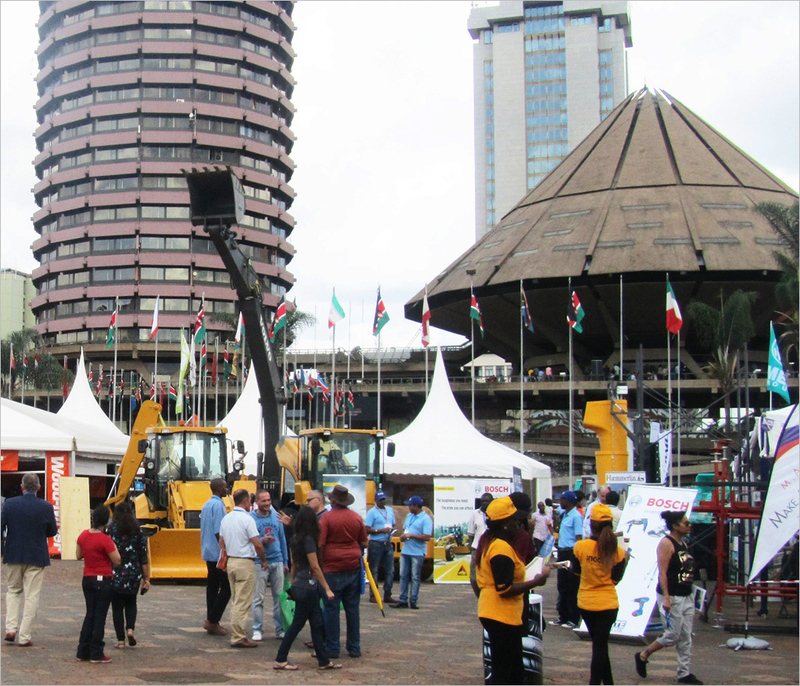 New products and machinery from global suppliers will be exhibited at the 20th BUILDEXPO 2017, East Africa's biggest construction trade fair. Being held from June 4 to 6 at the Carnivore Grounds, the event is 30% larger than its previous edition in 2015. Hon. Prof. Jacob Kaimenyi, Cabinet Secretary for Ministry Of Land, Housing & Urban Development will inaugurate the event that is also supported by BORAQS and KNCCI. 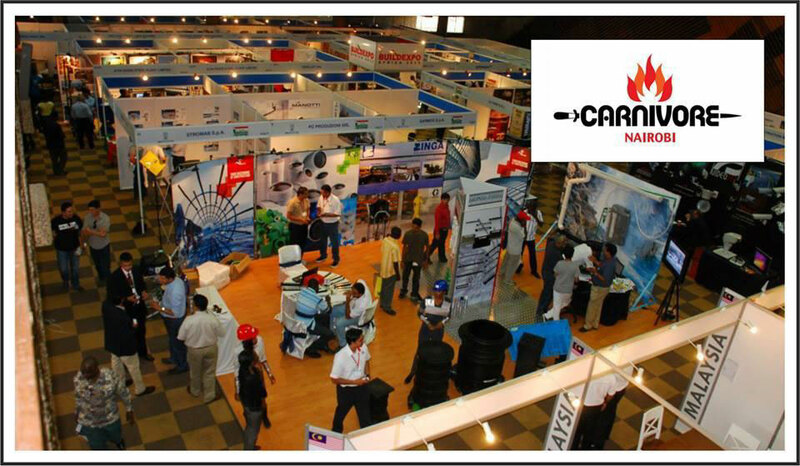 The 3 day event is an ideal platform for businesses in Building Material & Hardware, Construction & Mining machinery, Construction vehicles and equipment to make new contacts. Apart from business networking, even consumers will have an excellent opportunity to source both local and foreign products at the expo. "Companies from 42 countries will be showcasing their products and machinery this year" disclosed Neville Trindade, the Exhibition Manager from the organizers Expogroup. "Participation from Kenya is escalating every year that indicates their trust and exposure over the years", he added. The largest participation is from Kenya, China, Europe, India, and Turkey which account for almost 100 companies while there are another hundred from the rest of the world. LIGHTEXPO & AFRIWOOD are two concurrent events with BUILDEXPO that will be bringing a variety of products in Lighting and Wood respectively. One of the current market requirements for the most diverse types of construction machinery is efficiency in small spaces. There is also a continuing expectation for modern construction machinery to help speed up production processes on construction sites. The event will provide several solutions faced in Kenya's construction industry. A very innovative idea is being introduced by Concrete Canvas, a U.K. company that manufactures a ground breaking material technology called Concrete Canvas that allows concrete to be used in a completely new way. Concrete Canvas was originally developed for the award winning Concrete Canvas Shelters, a building in a bag that requires only water and air for construction. There are also solutions to cut down costs. Multi Crane of Netherlands is to present used construction machinery such as tower cranes, self erecting and mobile cranes. From the HVACR Industry, comes BLAUBERG from Germany that will display VENTS product range for domestic, supply, exhaust and industrial applications. KONE Kenya is another key player that will showcase industry-leading elevators, escalators, automatic building doors and innovative solutions for maintenance and modernization. There will be thousands of products visitors can also source for their personal or commercial requirements such as Roofing & Waterproofing systems, Sanitaryware, Bathroom & Kitchen, Pipes, Plumbing, Tiles, Tools, Adhesives, Electricals, Aluminium & Glass, Panels, Block Making Machines, Pumps, Motors, Solar solutions, Formwork & Scaffolding, Doors & Windows, Handles & Locks etc. Sponsors from Kenya include names such as ABYSSINIA GROUP OF INDUSTRIES, PRIME STEELS, CAR & GENERAL, NIRMAL FABRICATORS, ELITE TOOLS, TATA AFRICA, TECHNOCONSTRUCT and ROCK PLANT KENYA. 20th BUILDEXPO AFRICA 2017- ALMOST SOLD OUT! Exhibition stands are now sold out with only 15% of the stand yet to be sold, registration will close by March 2017, the Fair exhibition will take place on the 04-06 JUNE 2017 at KICC, Nairobi. A total of 260 stands were available for booking and 85% have been sold out before the set deadline of January 2017. This is clear indication that the interest for the fair from the business community and relevant stakeholders is at its highest. The growing interest to the fair is also in line with its growth in stature and influence, as this year the exhibition has been sold out very early with the high demand of foreign investors targeting Kenya as well as local companies who are looking at being on the top of the game. Head of Business Support, Expogroup, Neville Trindade said the promptness of the business community towards the fair shows that they now fully understand the importance and opportunities that are presented by the fair as well as the long term business relations it will create. "As the mediators of the economic development in East Africa, we are extremely excited that our business community and relevant stakeholders are now taking full advantage of such platforms created for their growth opportunities through their active participation," Trindade said. 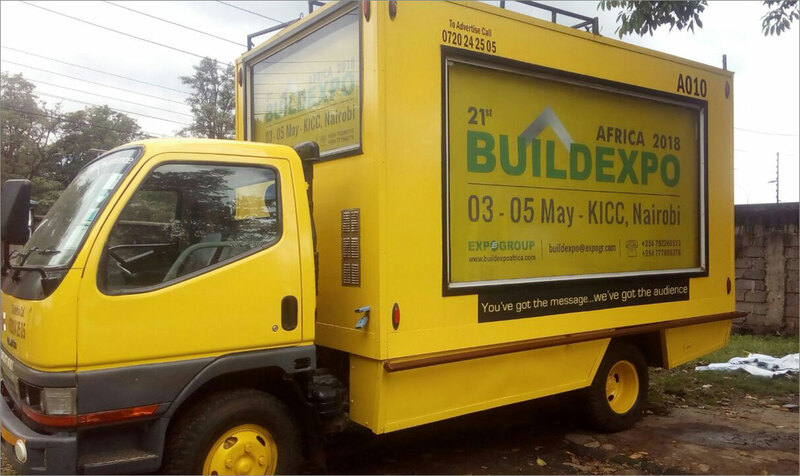 The 20th edition of Buildexpo Africa will attract exhibitors from over 40 countries and visitors from 11 African nations .20th BUILDEXPO Africa 2017, East Africa’s largest international building and construction trade fair organized by Expogroup will take place from June 04-06 at the Dome in Nairobi, Kenya. BUILDEXPO Africa is the only show with the widest range of the latest technology in construction machinery, building material machines, mining machines, construction vehicles and construction equipment.Neville Trindade, Exhibition Manager, Expogroup says that the trade attendees will be able to choose from about 14.3 million business prospects with over 10,000 products, equipment and machinery on display. "Over the years, we have grown to cater to the demands not just of the Kenyan market, but of the East African region as a whole. This mega expo is the ideal forum for international players to showcase their products and services to the huge market in Africa," explains Trindade. Apex Steel, Athi River Steel Plant Ltd. and Elite Tools are the gold sponsors of the three-day event, which will feature an Egyptian Pavilion with 15 companies set up by the Egypt Expo & Convention Authority (EECA) as well as other pavilions from Italy, China and India. This year will witness a 25 per cent increase in the participation of Kenyan companies and an expansion of its exhibition area to 10,000 square meters. Industry players like Assa Abloy, Atlas Copco Eastern Africa, Car and General, Shanghai Zenith Mining and Construction Machinery East Africa and International Green Structures Kenya Limited, among several others will be associated with the trade event.With a focus on boosting ties with neighboring countries, previous delegations have been linked to regional trade bodies in Kenya, Tanzania, Ethiopia, Uganda, Somalia, Mozambique and the Democratic Republic of Congo. According to the World Bank, infrastructure is the key to Africa’s economic turnaround and will play an even greater role in the continent’s continued development. Kenya, in particular, is making giant strides in infrastructure and urbanization, with demarcated economic zones, commercial and residential buildings, and resorts for tourists. The country’s infrastructure and construction industry value is expected to double between 2017 and 2020. There has already been a spike in the demand for building material and machinery. 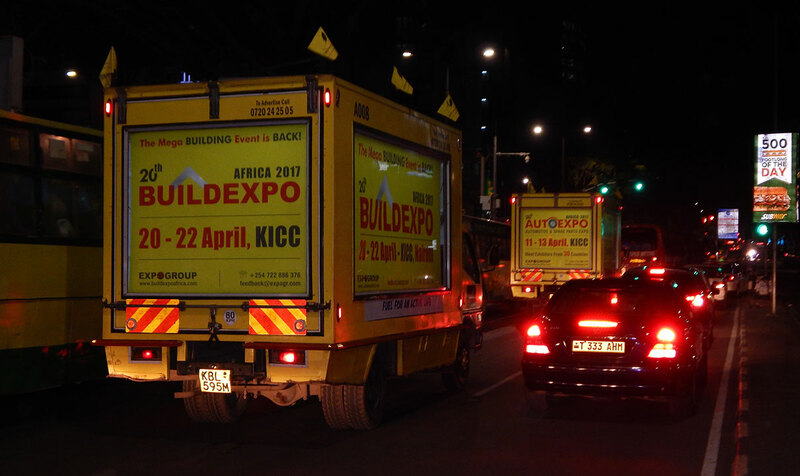 EXPOGROUP Worldwide, organizers of over 20 fairs annually in the region early this year announced the 20th BUILDEXPO AFRICA - Kenya 2017, scheduled to be held from 04-06 June at the Dome . BUILDEXPO is East Africa's largest and leading International Trade Exhibition on Building & Construction, Mining, Water Technology and other related products that will showcase over 12,000 products, Equipment & Machinery in Kenya. Spread over three days, the mega event “BUILDEXPO AFRICA” is the ideal forum for the international players in the industry to showcase products and services to the ripe African market. Trade visitors from all over East & Central African countries are being invited directly and in collaboration with several regional trade bodies in Kenya, Tanzania, Ethiopia, Uganda, Somalia, Mozambique & Congo. Though Kenya by itself is one of the biggest markets in Africa, major emphasis is being laid upon attracting traders and importers from neighboring countries. BUILDEXPO attracts predominantly managing directors, managers, design and production engineers, technical managers, purchasers and sales and marketing directors from the Building & Construction Industry. 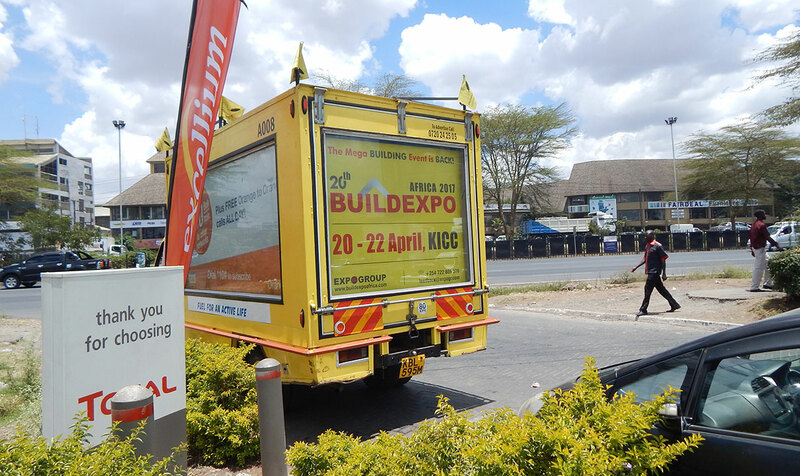 BUILDEXPO is the only show which has been catering to the demand of not only the Kenyan market, but the entire East African region from the last 16 years. The show will provide exhibitors with an outstanding opportunity and platform to meet existing and new customers, launch new products, generate sales, enhance company image and build brand awareness, interact with distributors & suppliers, and gain competitive insight of the market. 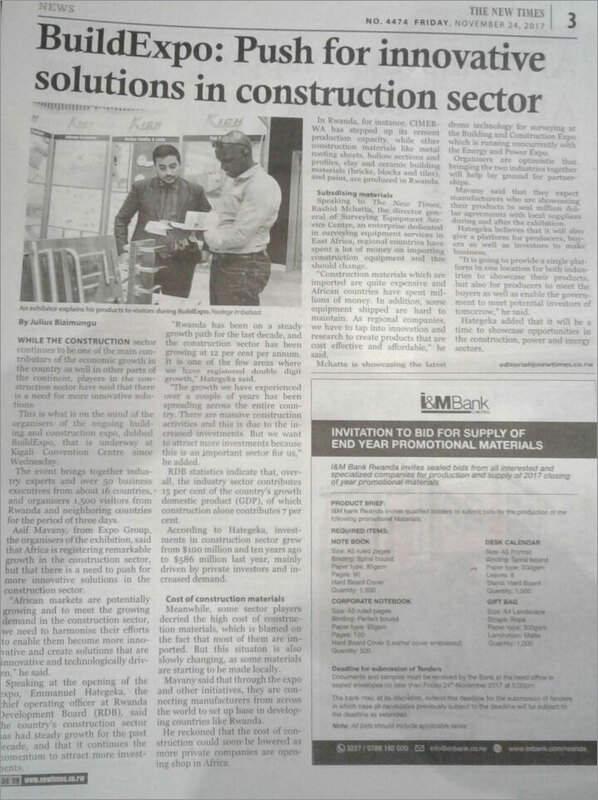 BUILDEXPO Africa 2017 is recognized as the brand leading, long-standing and highly successful building & construction exhibition and is the biggest trade event of its kind in Africa, enjoying the endorsement, support and sponsorship of the Africa Business Development Association, Dubai Exporters, Afrotrade, Construction Review Online, Kenya National Chamber of Commerce & Industry, Trade Invest Africa & Kenya Details portal. BUILDEXPO is set to deliver outstanding value and quality for all investors involved. We are taking the best of our 2015 shows - all the ingredients that made them so successful - then adding even more value to the mix based on findings from the latest market research. The event aims at providing an opportunity for East African Companies to source new products, equipment & technology from worldwide, to update their existing customers/ agents, to launch new products and have special offers, to learn and enhance export & import trade in order to capture available privileged and ready arranged markets and consolidate and strengthen distributorship network worldwide. Kenya is under rapid development in its infrastructure, urbanization, economic zone, industrial parks, commercial and residential buildings and tourism resorts. It is estimated that Kenya's infrastructure industry value and construction industry value will double from 2010-2017. The demand for building construction materials and machinery has witnessed a precipitous rise. So if you are in the Building & Construction industry, here’s your chance to meet the best in the market at one place and time! Be there!!! 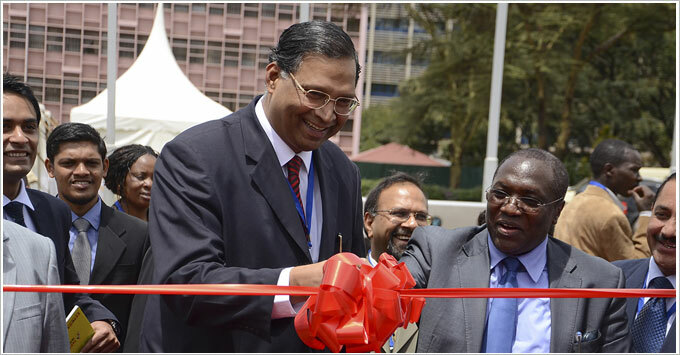 Mr. YOGESHWAR VARMA - High Commissioner of India to Kenya inaugurate India Pavilion at Buildexpo Kenya. In step with the industry and leading the trends: BUILDEXPO brought excitement, quality and new ideas to high-profile attendees. The largest international Building and Construction show in East Africa based at the heart of one of the most active and exciting markets, Kenya & Tanzania, once again will gather the industry for three appealing days at the Dome, Kenya on 04-06 June 2017 and at Mlimani Conference Centre, Tanzania on 02-04 July 2017. Statistics tell a lot on the success of last year’s edition of the show. 250+ exhibitors, of which 125 coming from outside Kenya and Tanzania, including 8 country pavilions from Belgium, China, India, Italy, Turkey, South Africa and Malaysia, 8,680 professional visitors made this year upbeat event the biggest in East Africa. Of the total 2017 visitors, 80% came from East Africa and 20% came from others parts of Africa. The questionnaire run among both domestic and international visitors during the show revealed great satisfaction with the show visits. Even more significant are the numbers regarding the booths space which the exhibitors rebooked on the spot for the next 2017 show: 45.7% of the space is already confirmed by the exhibitors during the 3-days event, with an increase of 35.6% compared to the booths sales performance made onsite in 2015. Keeping pace with the industry trends, the show is also re-inventing itself every year. The huge variety of events is reflecting the industry’s demand for deeper knowledge and business opportunities. A last remarkable note about this successful 2015 edition should refer to the onsite show experience provided to all attendees. Open area displays areas were throughout the venue to give extra attention to specific product categories and help visitors to better understand the products. The preparation for the 20th edition has already started, and BUILDEXPO will come back in June 2017 between the 04-06 and July between 02- 04th to offer another ‘sparkling’ international event dedicated to the building & construction industry. 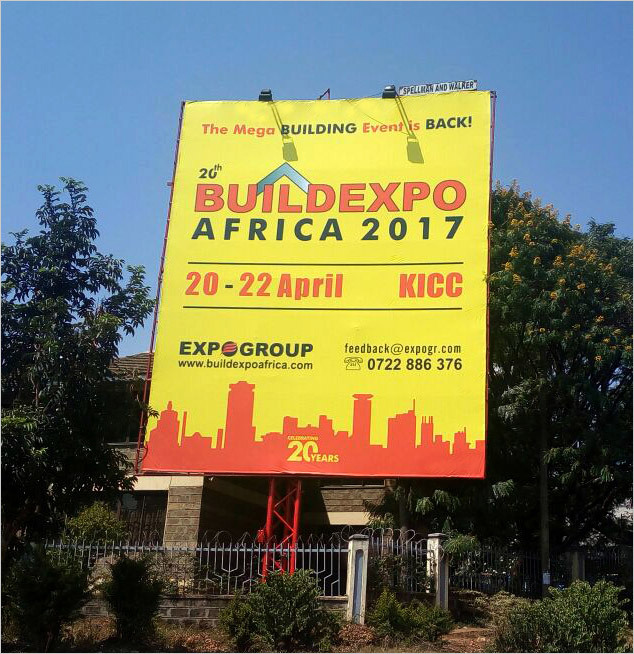 EXPOGROUP Worldwide, organizers of over 20 fairs annually in the region early this year announced the 17th BUILDEXPO AFRICA - Kenya 2017, scheduled to be held from 2 - 4 May 2017 at the KICC. 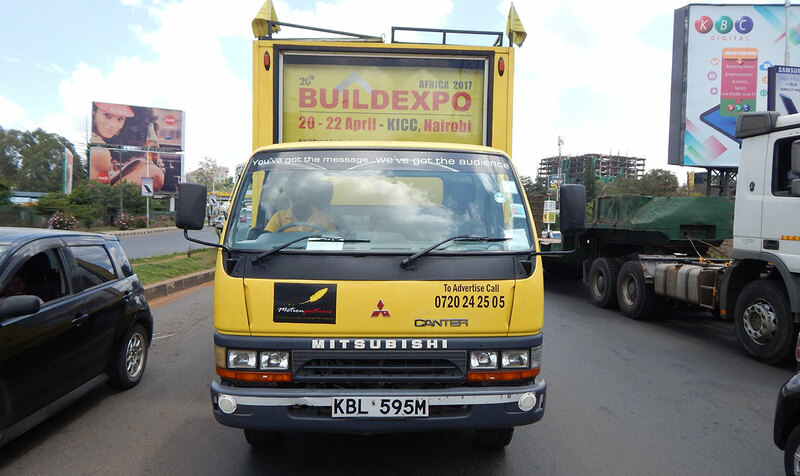 BUILDEXPO is East Africa's largest and leading International Trade Exhibition on Building & Construction, Mining, Water Technology and other related products that will showcase over 12,000 products, Equipment & Machinery in Kenya. Spread over three days, the mega event “BUILDEXPO AFRICA” is the ideal forum for the international players in the industry to showcase products and services to the ripe African market. Trade visitors from all over East & Central African countries are being invited directly and in collaboration with several regional trade bodies in Kenya, Tanzania, Ethiopia, Uganda, Somalia, Mozambique & Congo. Though Kenya by itself is one of the biggest markets in Africa, major emphasis is being laid upon attracting traders and importers from neighbouring countries. 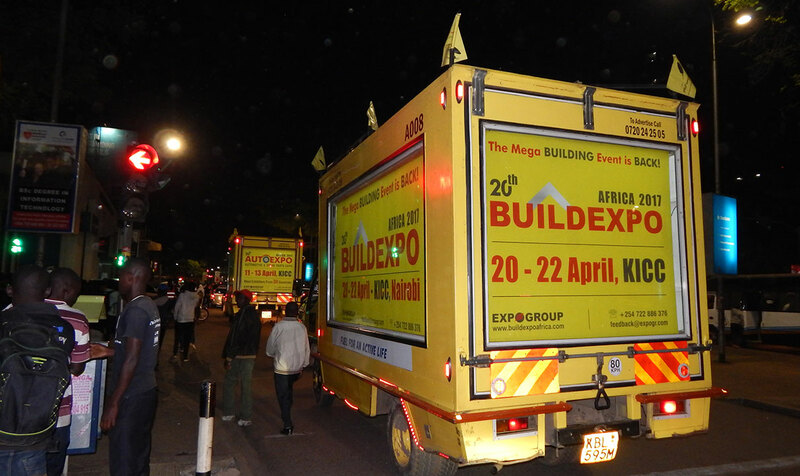 BUILDEXPO is the only show which has been catering to the demand of not only the Kenyan market, but the entire East African region from the last 16 years. The show will provide exhibitors with an outstanding opportunity and platform to meet existing and new customers, launch new products, generate sales, enhance company image and build brand awareness, interact with distributors & suppliers, and gain competitive insight of the market. 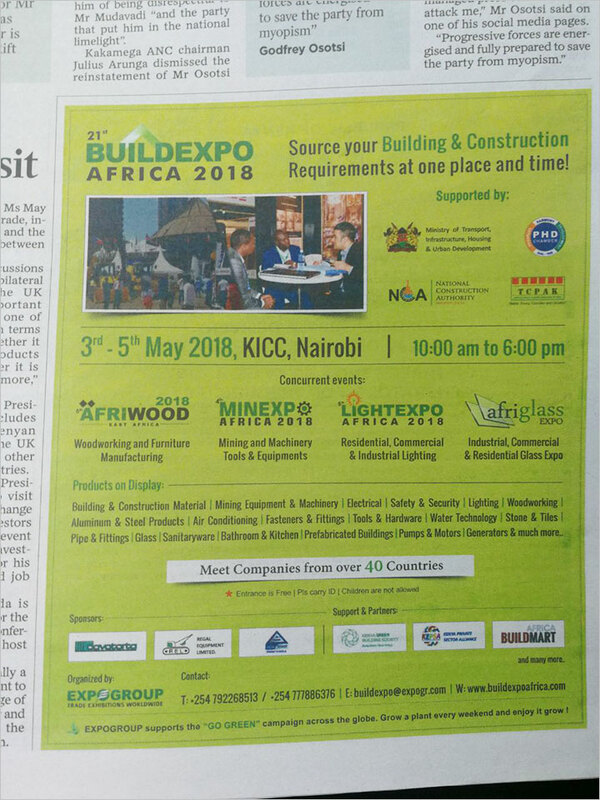 BUILDEXPO Africa 2017 is recognised as the brand leading, long-standing and highly successful building & construction exhibition and is the biggest trade event of its kind in Africa, enjoying the endorsement, support and sponsorship of the Africa Business Development Association, Dubai Exporters, Afrotrade, Construction Review Online, Kenya National Chamber of Commerce & Industry, Trade Invest Africa & Kenya Details portal. BUILDEXPO is set to deliver outstanding value and quality for all investors involved. We are taking the best of our 2013 shows - all the ingredients that made them so successful - then adding even more value to the mix based on findings from the latest market research. Kenya and the East African region are under rapid development, with infrastructural and housing developments outpacing most other sectors. 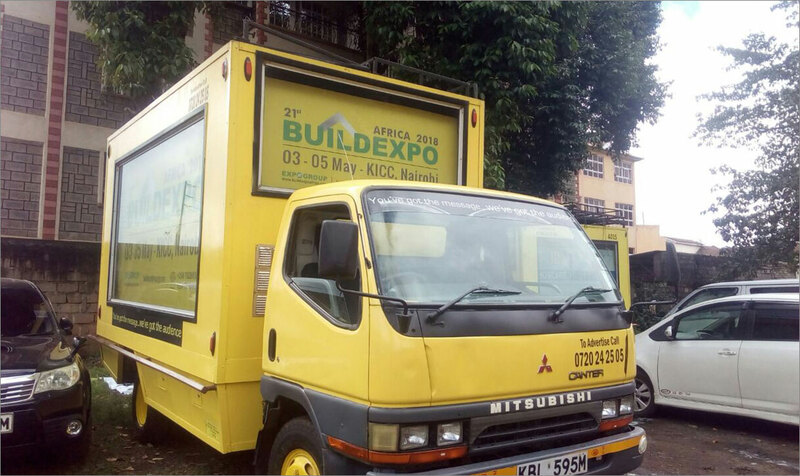 Demand for building and construction materials and expertise remains high and the 16 th Build Expo, held at the Kenyatta International Conference Centre in Nairobi, could not have happened at a better time. The event, which attracted participants from 31 countries including 11 African companies, spanned over three days, concluding on Monday, with participants expressing satisfaction from both the turnout and arrangements. “It was worth it,” mused Mr Francis Makori. “It is the best expo yet because we met so many people who were fascinated by our products,” Makori, a sales manager at J & K Investments which locally manufacturer steel doors, added. The expo attracted a myriad International and local Investors showcasing their building construction, mining, water and hardware tools. 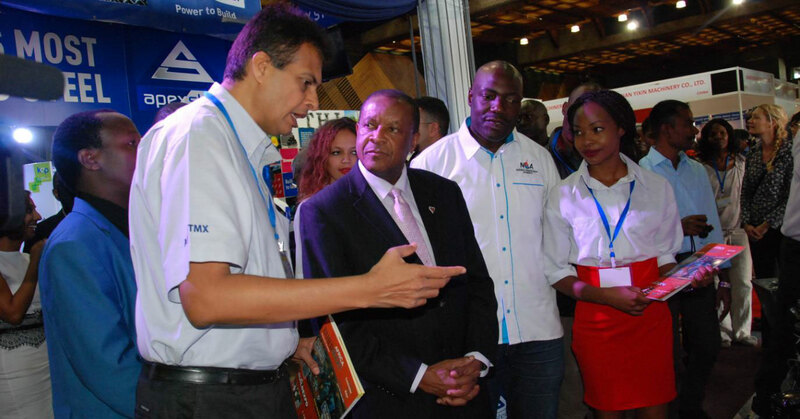 According to Mr Lawrence Kuria, the regional manager, Build Expo Kenya, the event was targeting both local and foreign investors where the main objective was to meet the demand of the clients. “We hope that the Expo is opening up building and construction industry within the country,” he added. It is estimated that Kenya’s infrastructure industry value and construction industry value will double between 2010 and 2017. The demand for building construction materials and machinery has witnessed a precipitous rise making the country a major attraction for foreign investors. “Africa is growing very fast in real estate and Kenya is the gateway. It is a market we are really keen to tap into,” said Ms Cathy Ling, sales manager, Guangdong Oppein Home Group. The Chinese giant is the largest integrated home production centre in Asia with over 7000 employees. The high interest by foreign investors was evident from the number of foreign faces exhibiting their wares, with Asia the best represented. This interest is fueled partly by the optimism occasioned by a peaceful election and high demand of housing occasioned by an undersupply in the market. “European markets are in tatters, the US has stagnated while Asia has too much competition which makes it less profitable. The next frontier is Africa and that is why we are here,” added Mr Ayz Ali, Business Development Manager, Hamad Al Owais, a Dubai based company dealing with hardware and industrial equipment. Investors consider bribery and corruption as the main challenges of investing in Africa, as well as weak legal and governmental institutions. A third of respondents also cited political risk, a fear also quoted by a few of the participants at the Nairobi build expo. “Kenya showed the way but elections will still be a terrifying time for investors in Africa,” confessed Emre Serhat, Export Area Manager, Assan Panel, a Turkish company dealing with roofing material. The Kenyan election, more so, the devolved system was a boon for the event however, as the exhibitors expressed happiness after hosting numerous representatives from the county governments. “We have had visits from numerous senators and governors who were scouting for equipment for their counties and it was probably the highlight of the entire event,” said Mr Peter Kamunya from Tata Holdings. Over the last one month alone, Nairobi, and the Kenyatta International Conference Centre (KICC) has been abuzz with a lot of construction-related activities. 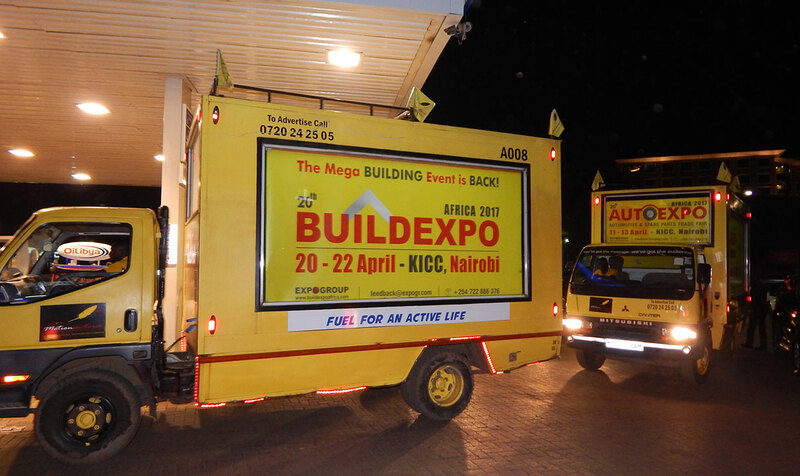 Two main expos have stood out: The 16th Edition of BuildExpo Kenya and the 17th Edition of the Kenya Homes Expo. 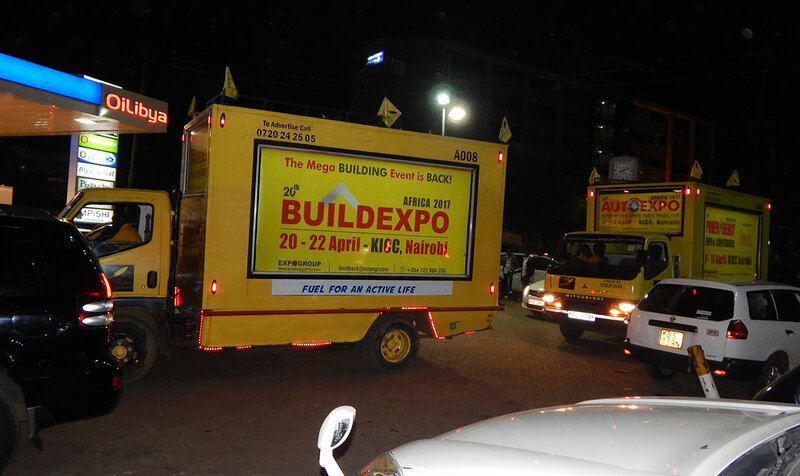 The BuildExpo Kenya 2013 was held between 4th and 6th of May, and it attracted at least 300 participants from 32 countries.The event has been held annually since the year 1997. This event attracts exhibitors who have specialized in building and construction equipment as well as mining and water technologies. 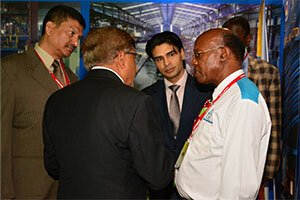 The Kenya Homes Expo was held between 23rd and 26th of May, 2013. This was the 17th edition of the biannual real estate event. The event was first held in the year 2005, with only 40 exhibitors but has since grown the number to at least 155 exhibitors in 2013. The 9th Edition of the Mombasa Homes Expo will be held from the 31st of May to 2nd June at the Sarova Whitesands Beach Resort. Despite all the numbers and information, the question still remains: Why should you attend these real estate and housing events? You can easily conduct your business under one roof: Annual events only allow you a single chance to walk from one exhibitor’s stand to the next rather that fly from the home country of one exhibitor to that of the next one. This time and money saved in the process is significant and the 150/- is not comparable to the value of opportunity it exposes someone to. The international presence should not be taken for granted. 1) Easy Comparison of Products and Services: By attending the expos one learns to appreciate the diversity of manufacturers and suppliers of different construction products. By attending, one is able to compare and contrast the quality, appearance and performance of the products with a lot of ease and convenience. By sampling products from different manufacturers and countries, one is able to make a more informed decision than paying a visit to a local hardware that may lack variety of the products. 2) Attending the expos provide an opportunity for one to get an edge over the rest. Who wants to find the same floor tiles they have used in their kitchen in their friend’s bathroom? Exposure to unlimited variety should be perceived as an avenue of distinguishing oneself. Some floor tile exhibitors provide the potential buyers with options of customizing the floor tiles to their own preferences and taste. Hardware owners or can easily establish business connections with some of the foreign companies seeking to penetrate the local market. 3) The expos present opportunities to learn and improve knowledge of what products are available in the market. At the same time, some exhibitors use the expos as launching pads of new products.